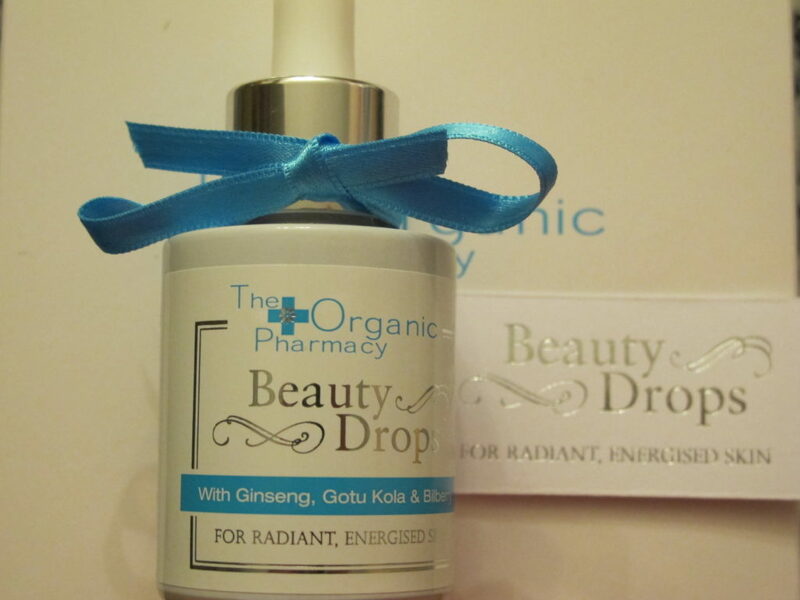 If you are a natural beauty or your friend for whom you are a choosing a gift is, then consider this latest addition to the Organic Pharmacy range, their aptly named Beauty Drops which can be used in several ways. Organic Pharmacy is a port of call for a multitude of things like lovely skincare, wellbeing consultations, as well as homeopathic advice and clever tinctures for health issues like flu, colds, problems with hormones or skin but this product takes it further – who doesn’t want to be energetic, as well as beautiful? Add five drops daily to your drinking water to fortify body and skin from inside or add two to three drops to your current serum, moisturiser in order to give your skin an almost instant energetic boost, adding a pretty glow to the skin when it needs it the most. When Beauty Drops are added to any skincare product they boost antioxidant protection for your skin cells, thus helping them fight free radicals and environmental damage more effectively. When added to water ( keeping hydrated is one of the best things you can do to your skin, as well as you body, flushing the toxins out ) they will help to improve the energy within your cells. The bottle has a pipette for effective product dispensing and the bottle’s neck is quite tight ( in a good way ) in design, making you feel like an alchemist creating a clever concussion in the privacy of your kitchen or bathroom. Beauty Drops smell a little bit like red wine, as well as blueberries, thus combining the benefits of research and vitamins extracts that Organic Pharmacy prides itself on. You can also try applying them directly to the skin and following it up with serum and moisturiser. The whole concept of this product, combining tried and tested wisdom with modern approach to beauty from inside out, as well as from outside in makes this product a wonderful gift for a modern day beauty of any age.